Measurements: 29mm long x 36mm wide. Characteristics: Upside down triangle shape and dapped. Lightly textured beaded area at the top. 3 beading holes along the top and 3 beading holes along the bottom. 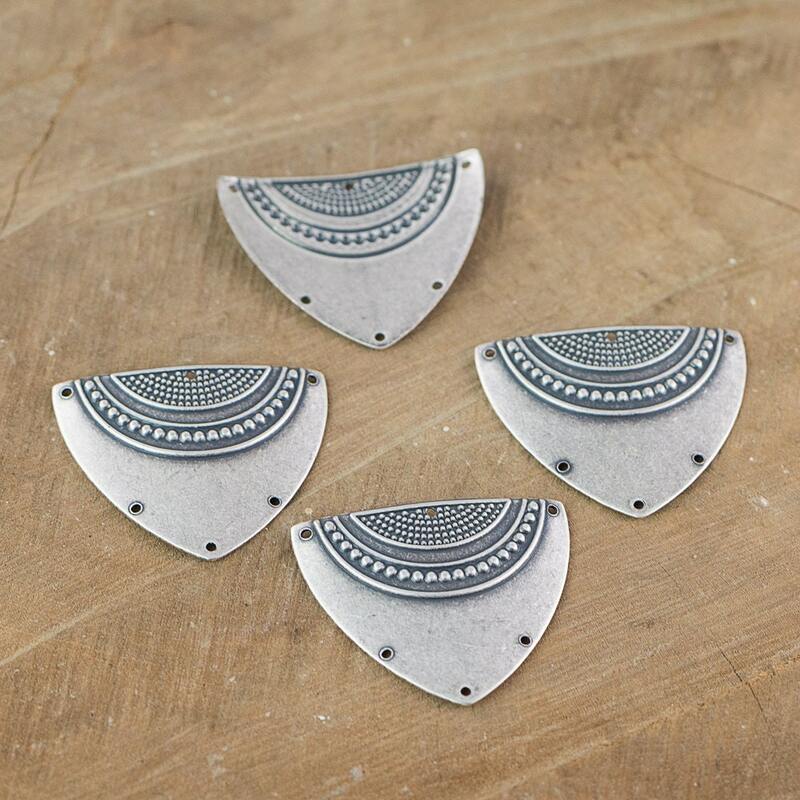 Love these little shield-like pieces that I think will make nice earrings.